Debt is something we all want to get rid of. Sometimes though we get stuck, we encounter some layers of challenges. This is what we are going to discuss along with the realities that are hidden behind those layers! As promised here is your short tutorial on using Power Pay to pay off your debt! Our free community! Be sure to join us by clicking the image below. Are there other layers behind your debt that we didn’t discuss? I’d love to hear from you in the comments below or over in our community! [0:00:27.3] JH: Hey there, this is your host Jen Hemphill, I appreciate you joining me today and taking time out of your busy schedule to tune in. Today, we’re going to talk about a very touchy topic and that is the dreaded debt. But we’re going to tackle it because it definitely needs to get done and if you want to continue the conversation on today’s episode, definitely head over to our community and that’s over on Facebook. 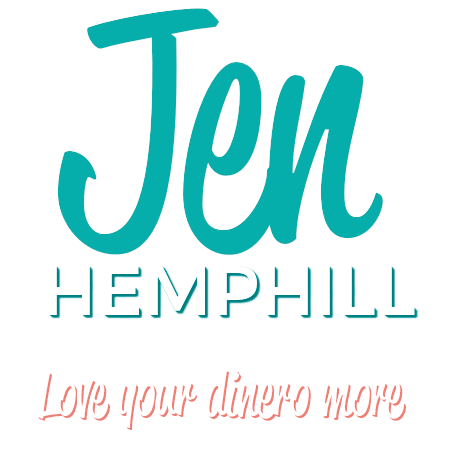 Doesn’t cost anything, you just join, you can go to Jenhemphill.com/community. So what are we going to talk about regarding debt in today’s episode? We’re going to discuss the seven layers in paying debt that came up within our community and you can see if any of those resonates with you. We’re also going to talk about the five realities behind those layers, those are some things that you can work on, and one bonus tip that will keep you motivated but only if you allow it. Before we get into the nitty gritty of today’s episode I want to, like always, recognize someone in our community and I’ll give him a shout out and today’s shout out, I wanted to recognize Lou Anne. She is our member of our free her money matters community and when she joined us, she was very clear on what she wants to achieve. I have to tell you Lou Anne, your progress that you have shared in our group has not gone unnoticed. I’m seeing you post, I’ve read your post. I wanted to let you know that I have noticed and to keep up the great work, stay focused because I know you can do this. Let’s go ahead and get to the meat of this episode. [0:02:35.1] JH: Recently, I asked those in the community, in our her money matters community. I asked the question, “What is the biggest struggle when paying off debt?” So these are the seven layers that came up and I’m going to address each of those seven layers one by one, and it’s not in any particular order. So one of the layers that came up was finding that extra money. Usually what I find that tends to happen when someone tells me they’re having trouble finding that money is that there is no clear budget, there is no spending plan. Whatever you want to call it, there is no clear knowing what’s coming in and what’s going on, where all the money is going. So you have to really get clear on all your expenses. That’s super important. It’s critical for this. Now, if money has got you stuck in this sense and you’re feeling overwhelmed as far as really knowing where the money is going to. I really encourage you. I did a blog post, a written blog post. So no podcast for this particular thing. But I did a written blog post on a hidden step that a lot of people miss. So I will link that up in the show notes for you to read because I think just by reading that blog post that will make a world of difference for you. So I’m not going to discuss the blog post because you can go ahead and read that. Wanted to share that with you. Again, it will be posted in the show notes. The second layer that came up as a challenge to paying debt is not having the extra money. So it may be that you did your due diligence, you got crystal clear on your expenses, what’s coming in, what’s going out. Really when you see that maybe there’s no really wiggle room, there are two options really. You either spend less, which may be what you would have to do. You would have to look at your expenses, even though you’ve already done that, but take a look at your expenses again and figure out what matters to you and what doesn’t. The things that don’t really matter, that’s where you’re going to look at and see what you can do to minimize those expenses. Of course the other option is to make more money because there’s only so much you can cut out of your budget right? Sometimes it’s just a matter of earning more income. That’s the second layer that came up. The third layer that came up is really sacrificing the time for making more money. We’re all busy and I completely get that. There’s only so many hours in the day, there’s so much going on especially in the US, we live in a culture that is just go, go, go all the time. And you want to enjoy life. I encourage you to enjoy life as a matter of fact. I’m behind you on that. But it’s all about making decisions, it’s all about making choices but you have to make that decision, that choice that really you feel good about. That’s really key here, it’s not about me telling you what you need to do but it’s making that decision for yourself and really feeling good about it. So in this case, again it’s similar to the second layer. You need to A, take some time for that side hustle to generate more income or maybe get a part time job. Even though it means time away from your family, maybe it takes time away from things that you love to do for yourself and you have to be okay with that right? Again, the key here is making that decision that you feel good about. Even though especially thinking long term, the sacrifice is going to pay off for you and if you feel good about sacrificing that time so you can get to paying that debt off quicker and you feel good about it, by all means, do that. Or maybe that time is so precious for you, especially if you’re a parent, if you’re a mom and that time with the kids, the kids only stay little so long. Maybe you just have to be okay with earning the money that you’re earning currently and just paying the debt as you go and doing what you can and being okay with that because sometimes opportunities will present themselves. In other cases there will be, from time to time, areas of spending that you can decrease and from there you just have to be really diligent in putting that money towards your debt. Again, it’s just about a matter of making choices but the key thing here is making choices that you feel good about. The fourth layer that came up is about life happening and then you bring on more debt after paying it off. That happens so much where you maybe paid off some credit card debt, something happened and all of a sudden you’re back in square one. But I’m here to tell you that debt doesn’t have to happen again especially when we’re talking about the consumer debt as far as credit card debt. Especially if you have good planning. So the key here is to have good planning and what I’ve mentioned before earlier is getting a clear picture of your finances. So I’ll talk more about this and what I mean in a little bit. The fifth layer that came up is whether the struggle of saving and paying off debt at the same time. Is this something that you should do? Should you focus just on debt? What do you do first, right? That one school of thought like Dave Ramsey where he encourages you to save for your emergency savings. Build up the emergency savings for a month first and then focus on debt okay? That’s all you would focused on, there wouldn’t be saving for retirement, there wouldn’t be any other shorter savings. Just really laser focus on the debt to get it paid as fast as possible. So that is one way, and I like his school of thought because he encourages you and other schools of thought also encourages you to have the emergency savings, you have a backup plan. If for some reason something happens, you have something to fall back on. Having said that, in our experience when we were paying off our debt, we did have our emergency savings right? We were also saving for retirement. We broke that rule, right? The reason why is that we were uncomfortable with not saving for retirement because that is one phrase that I’ve mentioned before in another podcast is that “compound interest”. Compound interest is when you save, especially starting early on, it really — the benefit of compound interest is that you have the time factor working for you, and time is something that you can’t get back. Maybe if you don’t start saving early than you’re looking at having to save more at one time than little bits over a longer period of time. We weren’t comfortable with that, so we continued putting away for retirement just the minimal amount but we felt better doing that. That was just a personal choice. Something that you can do but we didn’t do is you can look, just to make a decision, you can look at the numbers and compare for example the interest that you pay on the debt that you’re paying on the debt over time versus the extra money that you’d be potentially accumulating by saving for retirement. There’s calculators out there that you can guesstimate, right? But you can do that and from there you can make a decision if that’s something that you want to do, whether you want to focus on the debt and then later on save for retirement or if you want to be saving for retirement as you go even though it may mean taking a little longer to pay off debt. So definitely that is a personal choice, I do recommend if it makes it easier for you is to look at those numbers. The sixth layer that came up is just the number. The number on that loan. Just thinking how much we owe is enough to get us sprinting the other way. If this is something that you’re dealing with, really it boils down to developing your payment plan, and a clear payment plan. So I’m not just talking about you have X amount of debt and maybe it’s a six figure debt let’s say right? That always overwhelms you, it frustrates you and it’s not — you have to have a clear, you don’t want to just be paying extra on the debt and not knowing how long it’s going to take right? You want to make sure it’s a clear debt payment plan. I’m going to share with you a tool and it will be in the show notes. It’s called Powerpay.org and I’m also — you’ll be seeing a “how to” short video tutorial on how to use it so you can start using it right away. So if that big number on the loan is what bothers you, chances are you don’t have a clear debt payment plan. If you do, you got to be — there’s, maybe you have to dig deep and ask questions to yourself as to what is it about the number, what is it that’s bugging you, right? There’s something behind in your mind that there’s a reason for that. The seventh layer that came up in our discussion is about making this large payments extra payments for the debt and then you have to borrow again on the credit card okay? When something unexpected comes up and that happens. So with that, if this is you, what you need to be again, I’m going to mention it again is really having a debt payment plan and sticking to it, okay? What you need to do as well as getting clear as to how much, what is realistic that you can put towards that debt? What extra payment you can put towards that debt payment plan? You have to be clear on that. Now, there’s five realities. When it comes down to those seven layers that we talked about, there’s five realities and you know I’m about keeping it real. I’m going to share with you these five realities as to — because it will help you and guide you as to what is it that you need to do. Why is this challenging you and then what you need to do about it? The reality number one is that you may not be clear on what’s going in and what’s going out. So if one of those layers is one of those challenges, your specific challenges, you got to ask yourself, “Am I clear, really crystal clear as to what’s coming in and what expenses are going out?” Need to answer that question. If the answer is no then you have your answer, you need to get crystal clear on what’s going on with your money. Also remember that blog post that I mentioned to you because that blog post will be very helpful and it’s essential for this because you have to include in your plan your non monthly expenses but besides that, you have to take one more action and that is setting that money aside and a lot of people don’t do that. They may include those non monthly expenses, it’s the numbers there in your spreadsheet or your software but that’s it. Nothing else happens and that’s not going to do you any good whatsoever. More of that is explained in the blog post that’s again going to be linked in the show notes. The third reality is you’re not planning for those non monthly expenses. I mentioned that just now because think in terms of when there’s a non-monthly expense, it’s going to come up eventually but if you are not putting that money aside, when it comes up you’re going to be scattering all over to figure out where is that, how are you going to pay for that expense right? Then it’s going to throw off your whole spending plan. So to avoid that, you need to start setting that aside so therefore when that expense comes due, whether it’s on clothes that you need to buy your children, whether it’s a quarterly bill, you have that money ready to go and it’s not going to throw your budget up, you know, just throw it off. The fourth reality is having patience and having confidence and flexibility. So patience, confidence, flexibility that you can do this. Don’t get so hung up on the exact numbers. Yes, you have to know the numbers but that’s just the way to measure how things are going so don’t get too hung up on that, just have patience, be confident that things are going to happen and go your way and be flexible. Things aren’t going to happen and shift over the night. There is going to be — it may take several cycles to see the progress so you just got to stick to it. That is just definitely a reality. The fifth reality is really developing a debt pay off plan. Again, I think it’s great when people pay extra on their debt by all means, that’s a great thing but don’t do it blindly. Have a plan in place, know what that looks like, know how that extra payment of $200 or $500, how it affects your whole debt. Know when the end is coming, right? Again, don’t do it blindly. I’m sharing with you a quick tutorial on the free tool that’s called Powerpay.org that will give you a clear picture with the month and year as to if you put extra payments monthly or however you can do it, how long it’s going to take you to pay off that debt. So it’s a really great tool, make sure you go to today’s show notes and watch that short video tutorial. 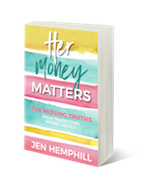 So those are the five realities and make sure that when you have a challenge in paying off that debt, you want to ask yourself if you’re clear on what’s going in and out, if you have a set plan if you have a budget like a real budget, not just in your mind. If you are planning, put a plan in place like executing the plan for those non monthly expenses. Also, you need to be patient, flexible, confident and I think a debt pay off plan is very necessary because you don’t just want to be paying extra in doing it blindly. Now, the other thing I want to share with you as a tip to help you be successful and you’ve heard me mentioned this word over and over again. Especially if you’ve been listening to this podcast for a bit. And that is “automate”. I always talk about automate, automate, automate. Sometimes we’re fearful and I’ve mentioned this in other episodes. If you are fearful of automating, you got to ask yourself if you are really crystal clear on what’s going on with your money. Chances are that you’re not, that there’s fear, there’s something going on with that you’re not clear about in your plan, maybe you know you’re over spending sometimes and it’s not going to happen. So if you’re clear on that, on what’s going on with your money and where all the money is going, there is no reason not to automate. Now, I do have to tell you recently I interviewed a guest and that interview will be live for you in May where she actually is in the process of paying off that but she doesn’t automate. So it’s really interesting her reasoning for automating, which I thought was fascinating. So I thought that was fine too but the reason why I say automate, especially if you're busy and if you're not diligent on making those extra payments and you know you may forget or maybe they’ll be something that’s stopping you like maybe you’ll want to spend that money somewhere else, automate it. You know yourself better than I do. Make sure that if that’s you, make sure that you automate. The other thing that I feel is very helpful that will help you motivate you and keep you on track is to start planning now what you’ll do with that extra freed up money. If you’re paying over a thousand dollars a month in debt right? Start planning now what you’re going to do with that thousand dollars that you’re going to have extra every month. Start Googling some stuff, start window shopping, figure out what you’re going to do is are you going to put that extra in retirement. What is that going to look like? Are you going to be finally traveling more? Where are you going to go? How much is it going to cost? Make sure you write those things down and keep that close to you. So when you’re losing maybe some motivation or you’re getting frustrated or maybe things aren’t happening as fast as you want them to be, take a look at that list of what you decided you’re going to do with that extra money once you’re out of debt. That is it, let’s recap. Today we talked about seven layers that came up in paying debt in our community. Things that have challenged them and definitely I want to know if this sounds like you. Also, we talked about the five realities behind those layers and these realities are some questions that you need to be asking yourself if you’re finding yourself either stuck, if you’re finding yourself being challenged with paying your debt off. I also shared with you a big tip that will keep you motivated if you allow it. So I want to know from you, what layers of debt or what layers when paying debt, what challenges did you resonate with? Maybe there’s some layers that we didn’t talk about. Let me know, come on over to the Facebook group and let us know for sure. That is a wrap for today. I appreciate you taking time out of your busy schedule and tuning in to today’s episode, you can check out the show notes at jenhemphill.com/44 and there you can refer back to everything you need from the show including the link to the Facebook group because I would love to have you there. The short how to video on using powerpay.org and also the blog post that I mentioned that I think will be a huge help for you. So thanks again for listening and we will talk again next Thursday.